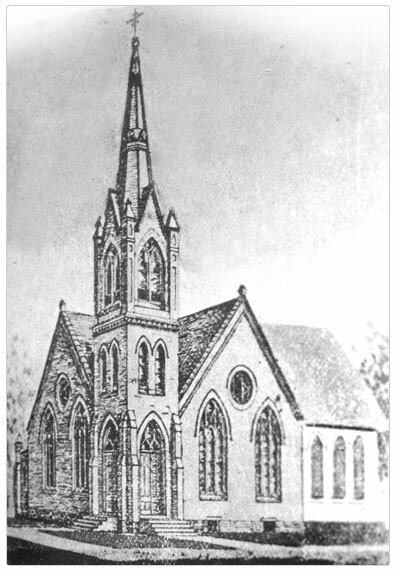 The First United Methodist Church’s history dates back to 1874. At that time, seven persons organized a group who wanted a place to worship and glorify God. It is said that Mrs. Z. M. Stephens, who was only 21 years of age, was the leader in organizing a church here. In 1876, a union church was built by Methodists, Baptists, and Presbyterians. The Methodists grew under the leadership of the Rev. D. W. Babb and in 1883 they took the first step toward building a Methodist Church in New Albany. The Rev. D. L. Cogdell, pastor of the Ripley charge, came to New Albany to preach twice a month. In April 1886, the Methodists paid $100 to purchase the lot directly across from the current church building. The first Methodist Church was erected there that year. The Associate Pastor’s parsonage sits on the site of that first church. New Albany Methodist Church became a station church in 1886. In 1901, the building was remodeled. 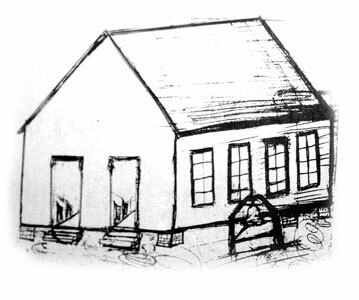 New Sunday School rooms were added in 1908. By 1925, membership had reached 500. The congregation purchased the lot where the current church sits and appointed a building committee. 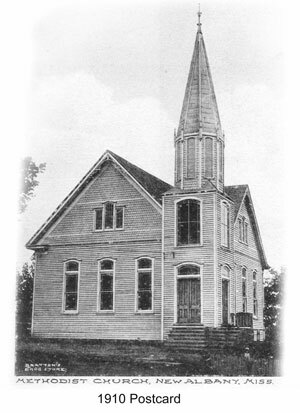 The first services in the new building were held April 10, 1927. The new building featured stained glass windows, a pastor’s study with outside entrance, a basement social hall and kitchen, and three stories behind the sanctuary for Sunday School space. When the Great Depression struck in 1929, the church was deep in debt. However, through the dedication of the Board of Stewards and the sacrifice of the membership, all obligations for the building and Annual Conference apportionments were met. On May 8, 1938, the church was debt free and was dedicated by Bishop Hoyt M. Dobbs. The Rev. N. J. Golding was pastor at the time. Other additions came over the years. The 1940s brought a new Children’s Building and a pipe organ in the sanctuary. The 1950s saw the air conditioning of the sanctuary and the purchase of property behind the church. 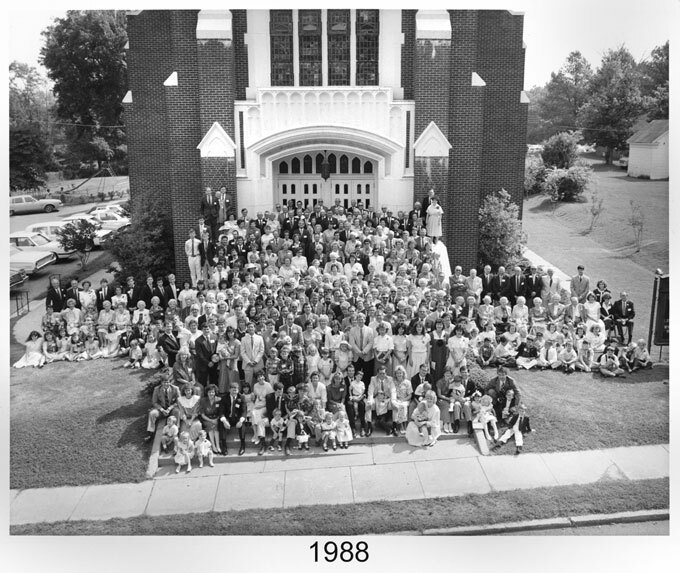 As the church grew, it was necessary to expand the parking lot and the Children’s Building in the 1960s. The renovated building was named the Clyde and Mary Hall Education Building. In the 1970s, a new parsonage was purchased on Highway 15 across from W. P. Daniel High School, now named New Albany High School. Property adjacent to the church was purchased and the buildings on the property were used by the youth group and the Boy Scouts. In 1996, the church entered on a massive campaign to build a multi-purpose building and a two-level atrium building to connect the new facilities with the existing buildings. In the spring of 1999, the new Christian Life Center and Wesley Hall were opened. These facilities allowed the church to begin a full Wednesday Night program with a meal, to expand youth and children’s ministries, and to host a wide variety of events, not only for the members of the church, but also for the community. Upward Basketball flourishes and the Flock (“Fun Loving Outgoing Christian Kin”) have a spacious meeting area. The CLC is able to accommodate banquet-size groups and has hosted numerous youth programs, including Boy Scouts and Girl Scouts and special church-wide fellowship meals. The Nurture, Worship, Education and Outreach Committees are continuing to explore new uses for FUMC’s buildings in order to glorify God and witness to the community. In 2007, construction was begun on a new parsonage located on Glendale Drive. The building was completed in July, 2008 and Senior Pastor Bruce L. Taylor and wife Susan, moved from the Highway 15 parsonage to the new location. Once again, the church finds itself ready to take a leap of faith and commitment to better serve the needs of the congregation by planning a renovation of the Clyde and Mary Hall Education Building. An in-depth study was presented to the church in the spring of 2008. Plans are currently being formulated to centralize the administrative offices and improve the floor plan of classrooms in the sanctuary building.